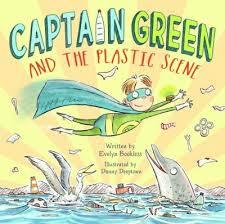 Thank you, Lynne Marie, for the opportunity to tell the story behind my debut picture book, CAPTAIN GREEN AND THE PLASTIC SCENE. Turtle too. When our superhero rushes off to help, he finds himself on a major mission: saving sea creatures from plastic. Captain Green tries to fix things on his own, but eventually learns that it takes more than just superpowers to save the seas. And now for the story behind the story! I adore animals and nature and when I began to learn more and more about the way plastic is polluting our oceans and hurting sea creatures, I wanted to shine a light on the problem while, most importantly, telling a story that children would enjoy and connect with. I watched documentaries, read widely and talked to a marine biologist to learn as much as I could. Then I chose three animals to include and studied their habits and habitats. It was important for me to not overwhelm children but show them some ways that they can make a difference. In terms of the writing, I included many patterns in the story, through the use of repeated language and applying the rule of three in different ways, with the aim of showing connections between characters and events and to aid the story’s pacing. I had a ball choosing snappy superhero language to accompany Captain Green’s actions. I enjoy visiting schools and discussing this topic with children and hearing their bright ideas for saving the seas. Children can and want to make a real difference from a very young age. As I read, I see children connect emotionally to the story. There is one illustration in particular, where Captain Green is comforting Dolphin after saving him, that always elicits the saddest little faces looking up at me. But to quote the film, The Plastic Ocean, “from knowing comes caring, and from caring comes change.” The story ends with a positive message about solutions and team work. I sincerely hope that if we all make some small changes in our daily lives, we can make a big difference to ocean pollution and the well-being of our sea creatures. It's not too late. 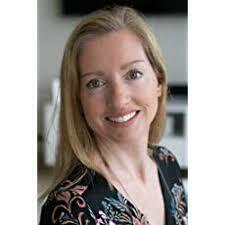 Evelyn Bookless grew up on a farm in the west of Ireland. She is a nature lover, mum, teacher and writer. Her first time diving was at The Great Barrier Reef. It blew her mind (but thankfully she made a full recovery!) Following this she learned to dive properly in the Atlantic Ocean one winter. She saw an octopus and was very happy even though it was very cold. Evelyn has lived all over the world but her favourite place to be is in the ocean, preferably somewhere warm, as she’s not as tough as she used to be. She dreams about clean oceans and contented sea creatures. I'll definitely have to read this book. I'm a scuba diver like Evelyn, so I love the ocean and all its creatures! Awww, thanks for stopping by Rachelle and for your comments! I always enjoy seeing you here!